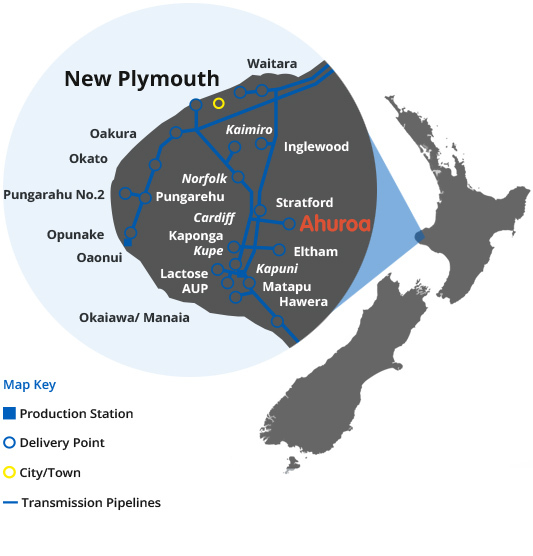 The Ahuroa Gas Storage Facility was developed in 2008 from the depleted Ahuroa and Piakau fields in PMP 52278. The permit is located around 10km north of Stratford and connects to the Transmission System at the Stratford 3 bi-directional point. Transmission services to Stratford 3 are currently governed by the Vector Transmission Code.